IT is exactly one year, eight months and 24 days since that early morning of May 10, 2016 when I woke up to the nightmarish sight of Leni Robredo leading the race for vice president. It was also the day when David Yap and I began exposing the anomalous data trends in the vice-presidential race. And that was the beginning of our journey into hell. We were viciously attacked. We were trolled. Our academic credentials were questioned even by our own colleagues. Over a hundred so-called data scientists even passed an online resolution condemning us. Not contented, our detractors even wrote my university demanding that I should be fired. My family was not spared when the legal troubles of my cousin, who had nothing to do with my politics, was maliciously publicized by an anonymous pro-Robredo blogger. David’s family was attacked too. He had to deactivate his FB account. But we firmly stood by our truth. And now, more pieces of evidence of the fraud perpetrated in the May 2016 elections, particularly in the VP race, are coming out. And the magnitude is horrifying, to say the least. A forensic analysis of digital footprints reveals that some precincts in Ragay, Camarines Sur and in Marawi City were already transmitting results a day before the elections. Decrypted images of ballots indicate that in Negros Oriental and in Camarines Sur, there are cases when votes for Senator Marcos were read as undervotes and were therefore considered spoiled, even as ballots that are supposed to be spoiled because they were technically overvotes, with more than one name shaded, were read by the machine as valid Robredo votes. Undervotes, or cases of voters not voting for any candidate, is expected in any election. However, election experts point out that the normal level of undervotes should not exceed 3 percent of the total votes cast for a position. An undervote level of 5 percent is already a cause for alarm, while an undervote of 10 percent or more is already an indication of an anomaly. In Negros Oriental, 10 towns had at least 22 percent undervotes. In Iloilo, nine towns had at least 10 percent undervotes and another two with at least nine percent. In Camarines Sur, four towns have more than 10 percent undervotes and six towns had more than seven percent undervotes. In fact, the total number of undervotes for the position of vice president is 2.8 million compared to 1.2 million for the president. In terms of percentage, the undervote for the president is within the normal level of three percent, but that of the vice president is at seven percent, which according to expert must already cause alarm. What is more alarming, however, is that before 8:20 p.m. of May 9, the undervotes for the vice president is 5.3 percent, which is already above the critical threshold. But after 8:20 p.m., it doubled to 10.7 percent, which is already patently anomalous. An analytics group, SESAT Technologies Co., made an analysis of the undervotes and found out that almost all candidates for president and vice president were adversely affected by the undervotes. They all lost their share of votes as the number of undervotes increased. However, it is only the LP candidates, especially Robredo, whose votes even increased as the number of undervotes increased. Advertisement The team of Senator Marcos also uncovered that in ARMM, the handwriting of the boards of election inspectors (BEIs) of precincts that are at least 60 kilometers apart are exactly the same, even as the signatures in the voter’s list are different from those who actually voted. Most appalling is the fact that the total sum of votes for the vice president which was transmitted to the central server of the Comelec had a disparity of around 250,000 with those transmitted through the municipal, city and provincial servers. A clean election would have not yielded any disparity. It was also revealed that a fourth server, the existence of which was not known to the public and the political parties, served as a queue server. Thus, instead of the precincts transmitting directly to the Comelec central server, the transparency server managed by PPCRV, and the municipal or city servers, they transmitted to this queue server. It is this illegal server that then transmitted to the three legally authorized servers. 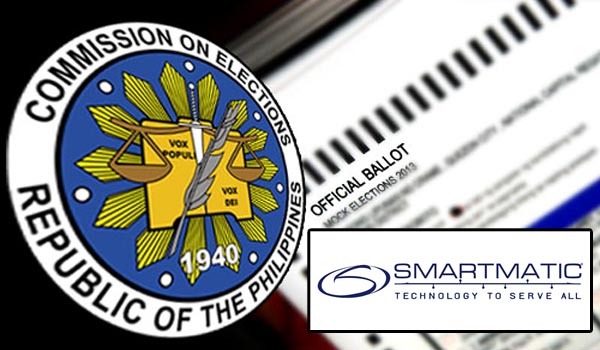 The Comelec, six days before the election, and without informing the public and the political parties and candidates, decided to set up six additional regional election management systems (EMS) in La Union, Albay, Zamboanga del Sur, Cebu, Cagayan de Oro and General Santos, when the law only allowed the one in Sta. Rosa in Laguna. It is these new EMS sites which processed the unusually high number of malfunctioning SD cards. Sen. Francis Escudero, chair of the joint congressional oversight committee (JCOC) for the elections revealed that he has evidence and witnesses that will show discrepancies in the supposedly mirror-image information contained in the main and backup drives of election returns in three regions. The footprints of a massive electoral fraud are certainly and horrifyingly evident. And yet, despite this, Comelec had the audacity to renew the contract of Smartmatic for the 2019 elections. Meanwhile, the rage over the fraud seems not to be as fervent to a point that one can feel that people seem to be ignoring it. Very few social media enablers focus on the issue, as compared to the outrage over Grace Poe’s alleged threat to block Facebook and her seeming bias against Mocha Uson. Andy Bautista, who presided over the contested elections, appears to be slipping through the net of public scrutiny and escaping accountability. It appears that Leila’s sins on drug-related crimes, or Conchita Carpio-Morales’ arrogance, are getting more top-level rage than the fraud that could have undermined the entire electoral system of our country. If we keep ignoring the footprints of the fraudulent election in 2016, then we certainly deserve the fraud that will visit us in 2019 and beyond.